Taco Rosa is located at 2632 San Miguel Dr., Newport Beach, CA 92660. For more information on Battle of the Tequileros, please visit here. Bill Esparza, the “Mexican Food Maestro” and authority on the food of Baja California was with us. Bill leads escorted food tours of Tijuana and Northern Baja for journalists and the public alike. He’s given advice to Travel Channel’s Andrew Zimmern, among other notables. He also contributes to LA Weekly and OC Weekly. Bill moderated the provocative , “Justin Timberlake good for Tequila? Gentrification of Mexican Spirits” panel on Sunday afternoon at Patchwork Show-Edible Edition. 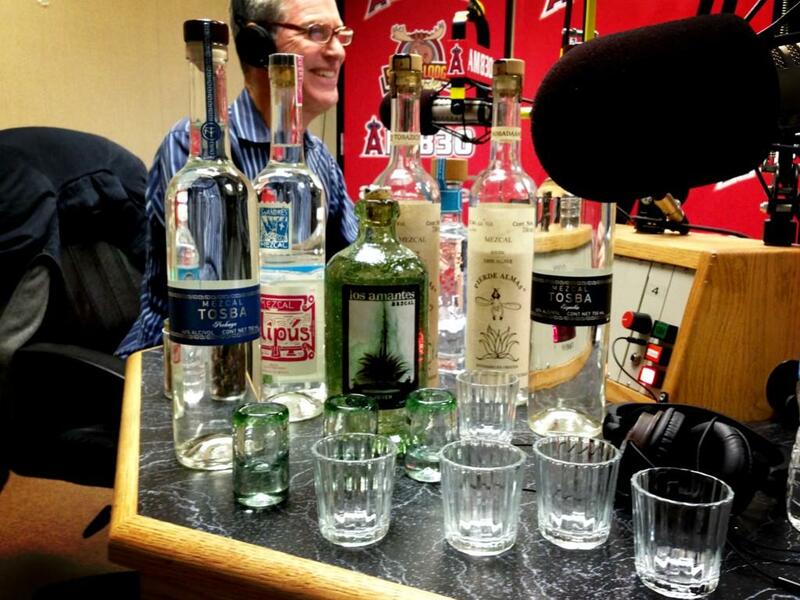 Mezcal and Tequila were sampled as part of the discussion. Bill explained the difference between Mezcal and Tequila. Guelaguetza in Koreatown features a well-stocked Mezcaleria with one of the most comprehensive collections of Mezcal available in the country. There are regular tastings and special events.